The New Year is now in full swing. So many of us set goals to improve our lives which often includes being healthy and looking our best. 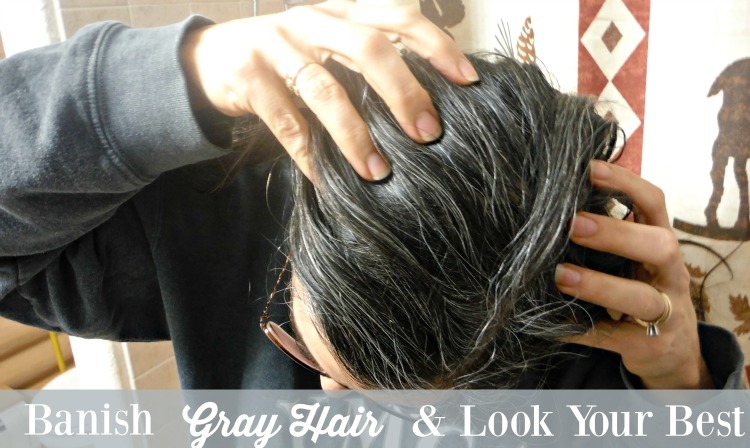 Have you considered the option to banish gray hair and look as gorgeous as you feel? I recently took the plunge thanks to Madison Reed and couldn’t be more pleased with the results. Now, I am all for being authentic and will shy away from things that seem to lower my perceived level of authenticity. You won’t find me sitting at the plastic surgeon’s office asking about a face lift or way to rid my face of the wrinkles earned through age. However, I felt compelled to get rid of the multitude of gray hairs which first appeared when I was 19 years old. Nothing like your hairdresser telling you that there are more gray hairs on your head than your mother’s! Add in a few comments from loved ones about how OLD I was looking in this photo from New Orleans and I was ready for a change. Plus, my boys were wondering if I’d colored the tips of my hair as they had turned a lighter shade compared to the rest of my head. Coloring your hair has been an option for years. However, it seemed like you either elected to pay for professional coloring at a salon OR took your chances on something you picked up at the store. I am all for a DIY approach in most things but have always wondered if there was a better way. Last year, I started seeing a few blogging friends talking about Madison Reed and how much they loved their color at home option. This company has managed to bridge the gap between professional coloring and the store bought options. 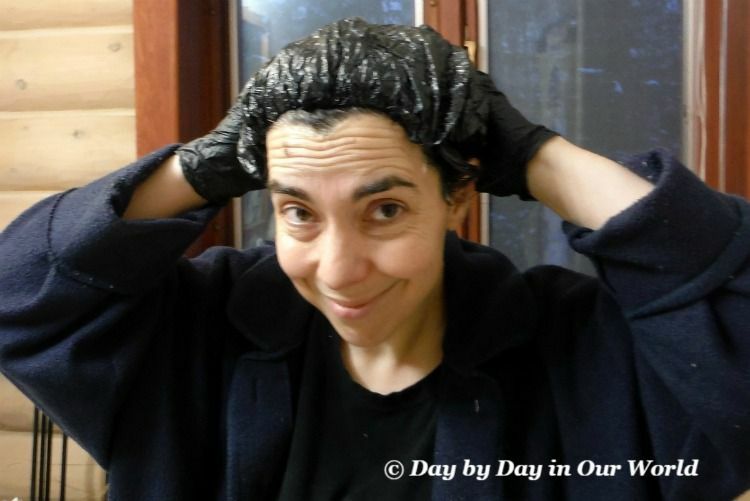 With a bit of excitement, I was soon using their tool to find a great color to compliment my appearance which would also banish gray hair that has been around for decades. With a bit of excitement, I was soon using their tool to find a great color to compliment my appearance which would also banish gray hair that has been around for decades. There were several options which appeared and I was asking trusted individuals which one they’d pick. Just as a note, if you still aren’t certain after using the online tool like I was, take a few minutes to connect with one of their stylists. I sent a recent photo of myself and they offered personalized recommendations which happened to overlap with the computer generated ones. While I had been leaning towards a color that would bring my childhood auburn hair back, the stylist actually recommended I start with Venezia Brown which was more of a dark brown with gold highlights as it more closely matched my natural hair color. 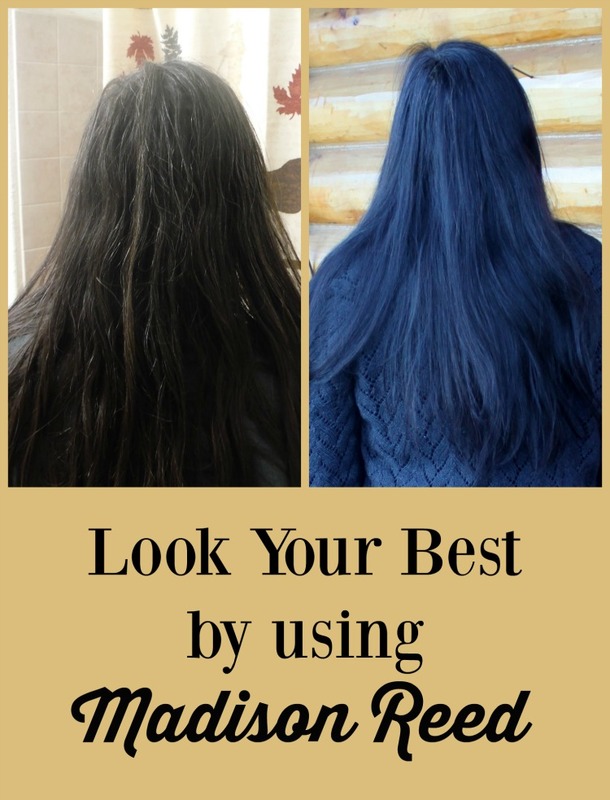 Madison Reed home hair color not only looks rich and vibrant but also skips the harsh chemicals found in conventional dyes. This hair color formula is enhanced with a Triple Care Complex of keratin, argan oil, and ginseng root, which strengthens, repairs, and brings out your hair’s natural shine. After you order, the package you receive walks you through the entire process with everything you need inside. If you have long hair, like me, then you’ll need to order an extra tube of coloring agent to fully cover your hair. Unlike some options at your local store, the cost for the extra package is less than the original one. The first step is to use the blocking agent on your skin in the area along your forehead and neck to help block spread of the color past your hair. Just be careful to not get it on your hair as it will block the action. Once that’s done, mix the 2 components to activate the coloring action and apply to your hair in sections as shown in the instructions. I started doing this myself, but my really LONG hair made it challenging to see what was happening. So, my husband put on a pair of gloves and did the rest for me. After coating all of your hair, you’ll put on the enclosed cap and set your timer. This is a great time to grab a book or spend a little time checking your social media channels. When the timer goes off, start rinsing until the water runs clear. Then you use the enclosed shampoo and conditioner to fully wash it all out. My hair was feeling a bit frazzled before I started. For the first week or so after coloring with Madison Reed, I kept wanting to feel the smooth hair (and a few family members couldn’t help themselves.) I will admit that there were a few spots that got missed for gray hair. Yet, overall my hair looked far better than it had in a while. All in all, using Madison Reed to banish gray hair was a fabulous decision. Now that my hair is growing out, it might be time to see how their Root Touch Up works or if it is time for a complete retouch. What color of Madison Reed hair color would you choose? Have you ever used hair color at home or do you stick with visiting your stylist? That is quite a difference. Thanks for sharing! I was quite impressed with their product. Now to try the root touch up before I have to do my whole head again.